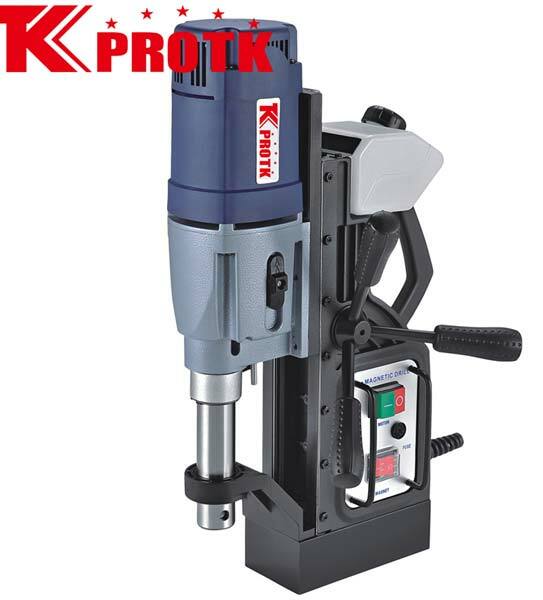 Based in Yongkang, China we are a reputed manufacturer, exporter and supplier of Magnetic Drill (TK-TYP-50). These Magnetic Drills come with an electric data specification of 230V/50Hz/1200W & 120V/60Hz/1200W. The cutter capacity and twist drill of this Magnetic Drill are 12-50mm and 2.5-23mm respectively. Available with a no-load speed of 550 RPM, this Magnetic Drill has a magnetic adhesion of 13000N and comes in a core size of 160*80*50mm. We offer these Drills in iron Packages of size 48*15*37cm and plastic boxes of size 57.5*17.5*46mm.